Customized Conex Solutions for Any Industry. 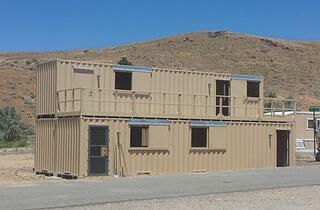 Uses for Falcon Structures' shipping containers are endless. Discover some of the ways our conex containers have been utilized in applications ranging from secure storage units to safe environments for employees to work and live in. 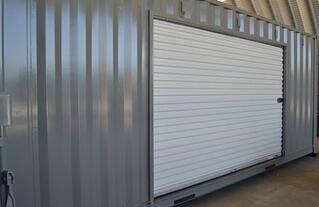 Safe and secure, Falcon Structures' shipping containers provide an ideal environment to store durable equipment. 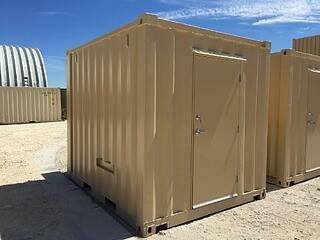 Plus, our containers can be modified to store sensitive materials (files, electronics, chemicals, etc.) Include a personnel or roll-up door for easy access. Long lasting and turnkey, repurposed shipping containers deliver a flexible, mobile office solution you can rely on for years to come. Falcon Structures' climate controlled, modular offices are constructed of sturdy, galvanized steel and include office grade finishes. 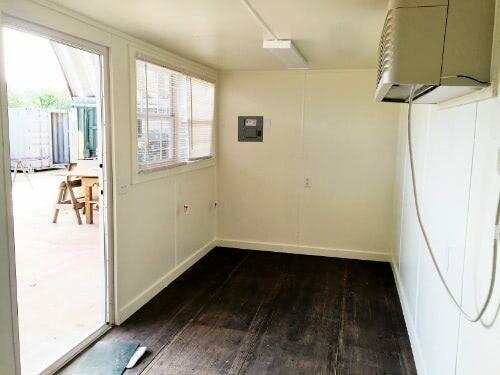 Efficient and easy to deploy, Falcon Structures' workforce housing containers provide a comfortable industrial housing solution where employees feel safe. Constructed of durable, galvanized steel, Falcon's modular housing solutions stand up to extreme weather and keep rodents out. Durable, secure, and easy to transport, Falcon Structures' industrial equipment enclosures offer flexibility and peace of mind. 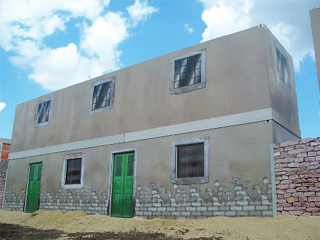 Constructed of heavy-duty, corrugated steel, our repurposed shipping containers stand up to severe weather, resist pests, and are easy to install. Falcon Structures can manufacture and deliver cost-effective, modified shipping containers to your destination in a fraction of the time. We have worked extensively with various branches of the military and government agencies to meet specialized needs while controlling costs. 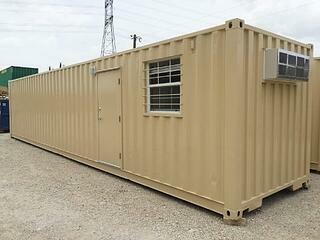 Uses for Falcon Structures' modified shipping containers are endless. 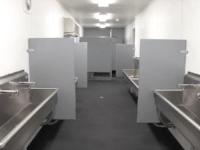 Discover some of the ways our conex containers have been utilized in applications ranging from secure storage units to safe environments for employees to live, work and play.